Showers and thundershowers in the evening, then overcast overnight with occasional rain. Low around 60F. Winds S at 10 to 15 mph. Chance of rain 100%. 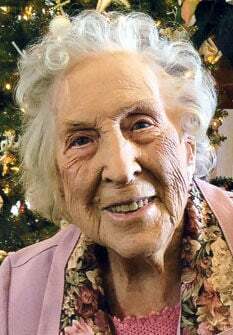 HUDSON FALLS — Lewella Wendell Christian, 101, passed away on Feb. 5, 2019, at her home. She was born on Dec. 17, 1917 in Hartford, Connecticut. Lewella was a well-known seamstress in the area. She is survived by her husband, Peter Maille Christian of Hudson Falls; her son, David Weaver, and his wife, Ruth, of Argyle; her grandson, David Weaver, and his wife, Lori, of Greenwich; her granddaughter, Bonnie, and her husband, Jeff, of Saranac; her great-grandchildren, Aaron Brown of Peru, Shara Brown of Saranac, Caleb Weaver of Phoenix, New York, Adrienne Laird of New Jersey and David Weaver of Greenwich. At Lewella’s request, her services and burial will be in the spring at Moss Street Cemetery will be private. Memorial donations may be sent to a children’s charity of your choice. Arrangements have been entrusted to Carleton Funeral Home, Inc., 68 Main St., Hudson Falls.